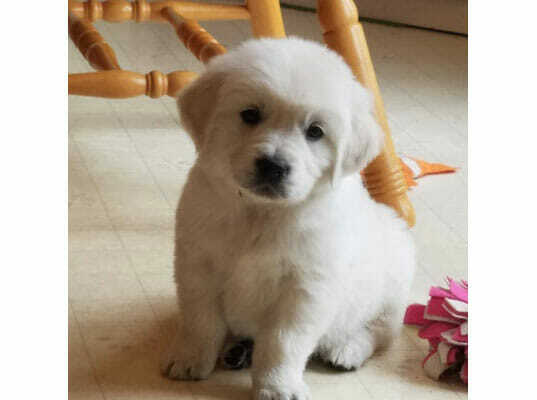 English Golden Retriever puppies for sale out of top Russian lines. One of Abby's And Benny's male puppies From their last litter. Abby is due to come in heat any day. to white in color. Will be small to medium in size. All puppies will be PRA1 clear, PRA2 clear, MD clear, ICT clear. 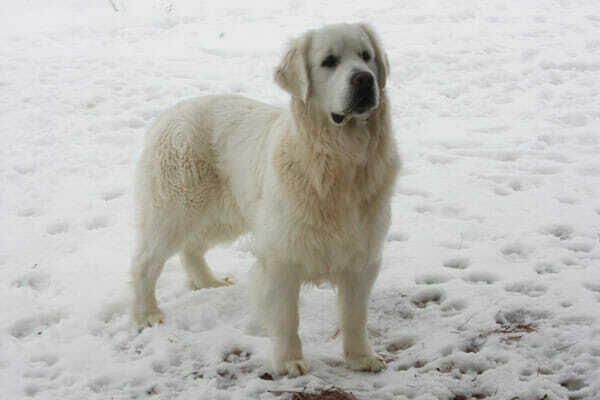 Abby will have Spring babies... Can't wait!!! Taking deposits now. These puppies will go fast!!! We are interested in getting one of your dogs. Our English Cream passed away in March, and life just isn’t the same without him! We live in Bozeman. Thanks so much for getting back to us! Please call me tomorrow and we can talk about our up coming litter. I am so sorry for your loss. Good afternoon, Looking for snow here in Colorado tomorrow. YUK! Oh well closer to puppy! We were wondering if you give them any of their shots. Yes they will have their first shot, dewclaws are removed, are wormed and doggy door trained. I’m very interested in one of the little girls but we live in great falls. How is the best way to connect? If you call me today we can talk about our next full English liter. I prefer talking on the phone and would love for you to visit our facilities. We got our sweet little girl from you in August from your Lizzie – Benny litter. We absolutely love her!! I see that Abby – Benny will have litter this summer?? We would love to get our Bella a companion. Would you recommend getting a male or female? And I would just complete the reservation form and return it to you with the deposit? Please call me so we can talk about our future litters. I am so glad you like your puppy so much. Please send us some pictures of her. Hello! 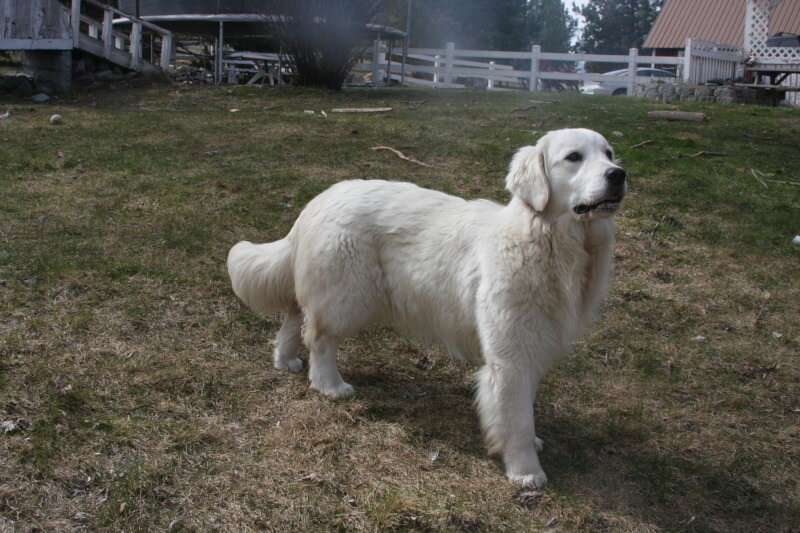 Have been looking at English Golden’s all over the Montana area! Wondering the pricing for the summer litter! Hi, I’m interested in the male pick for this litter. Is there any way we can chat to discuss details? Thanks!